Project Design Bites Team; Floris van der Marel (left), Prof. Tua Björklund, Ville Kukko-Liedes and Maria Mikkonen. Traditions in the food and beverage industry can be traced back hundreds of years, but unlike the common perception might suggest, long traditions are not stopping innovation. As Tua Björklund and her colleagues from Aalto Design Factory pointed out in their “Design Bites” study, there are many lessons we could learn from food start-ups. According to Tua, storytelling and the use of social media was much more present in this study in comparison to earlier studies that were conducted among tech start-ups. Another major difference was in product testing. While tech start-ups seem to focus strongly on the end user, large investors and partners, food start-ups were very actively participating in co-creation with various communities and design partners such as design houses (e.g. IvanaHelsinki), showrooms, bartenders and restaurants. What the tech and food industry have in common is the importance of professional networks. Outside experts are often brought in to both groups to solve design problems such as creating a unique payment system or better miscible food mass. 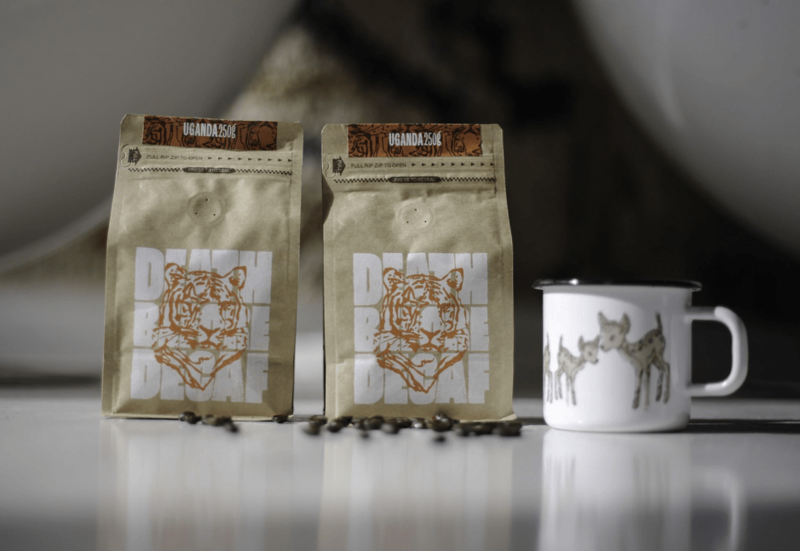 Warrior Coffee partnered with Finnish Design House IvanaHelsinki to create a packaging “with some attitude!”. Copyright Warrior Coffee. 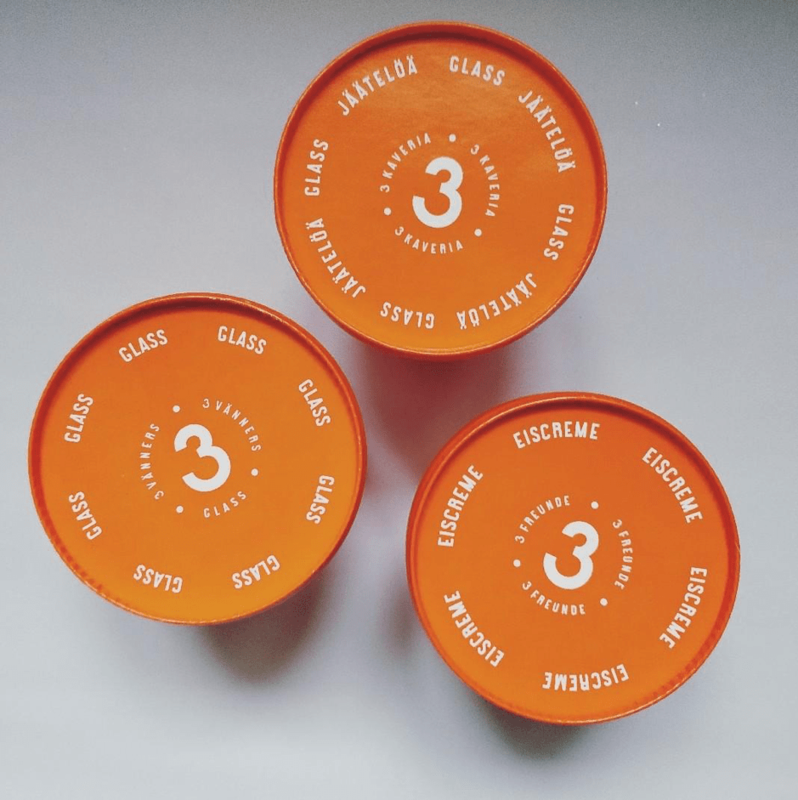 Food start-ups that identify themselves as “premium brands” perceived design as one of the cornerstones of their business, and therefore design challenges such as packaging were approached with extra caution and attention. In summary, standing out and conveying quality were two topics identified as the fundamental challenges. Internationalization introduced surprising communication and design obstacles. For example, differing associations with terms like organic or wild and local consumers’ limited knowledge about an ingredient presented challenges and so demanded clearer communication. As a result, some companies added additional labelling or went as far as renaming their business for international markets. 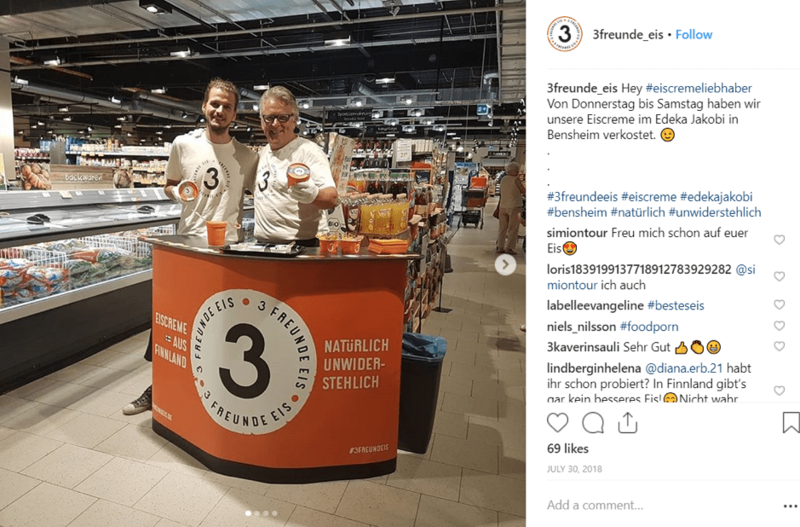 3 Kaveria (English; 3 Friends) decided to rename the brand, add the word “ice cream” to the labelling and open separate Instagram accounts for Swedish and German markets. When it comes to understanding local customers and the market, approaches varied greatly. Some companies relied on personal networking and test campaigns, where others relied on local partners. 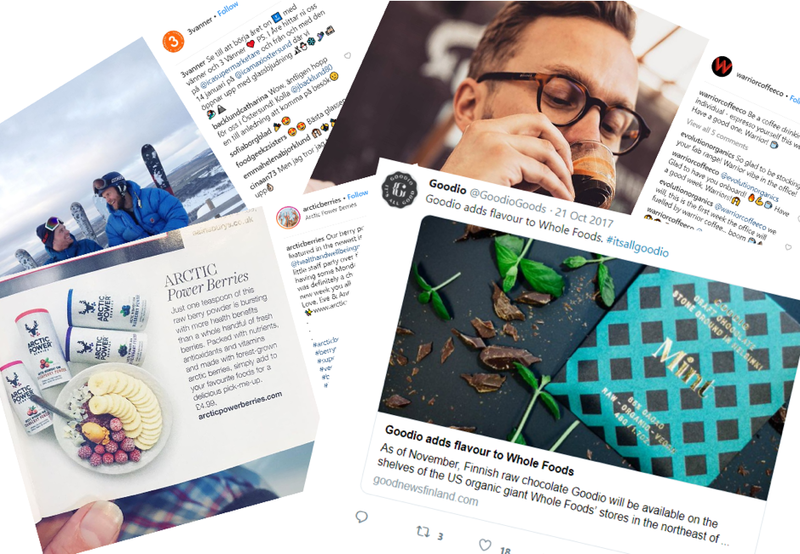 Several companies also used airports and airlines as global brand ambassadors to spread Finnish/Nordic/Arctic branded products to new markets or received support from local brand ambassadors and government networks (e.g. Food from Finland). Effective use of social media not only increased brand awareness but also yielded valuable leads from the B2B sector. Participant companies found valuable B2B leads from abroad through social media. In summary, understanding foreign markets and adjusting current products to different regions and cultures were identified as key challenges for internationalization. Targeted marketing (vs. organic pull), entering Asian markets and making a cultural impact were most commonly mentioned opportunities amongst the sample group. One interesting notion from this study is the often-cited lack of targeted support, accelerator programs and other knowledge sharing networks. An enlightened reader could draw the conclusion that the food start-ups have been trying to create accelerator type cooperation themselves, but there is still plenty of room for development. 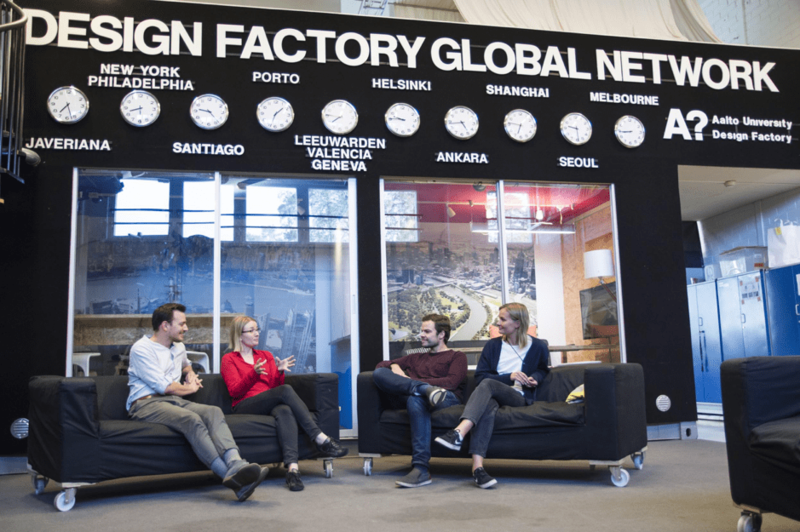 Who will sign up for creating the very first Nordic Food Tech accelerator? I hope we will hear the news soon.